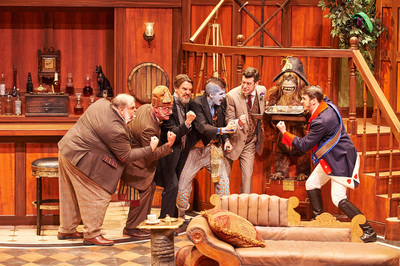 The Aurora Theatre is a twenty-year-old Equity theatre company that has a $7.5 million theatre complex, housing 2 performance spaces; it boasts 4,600 season ticket holders, produces over 600 events annually, and entertains 70,000 visitors. 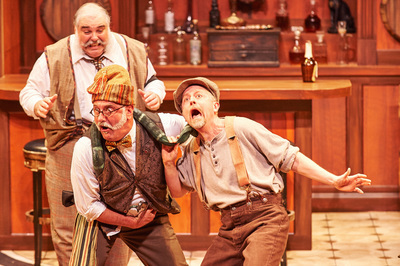 Aurora Theatre has become the 2nd largest producing arts organization in the Atlanta area and the fastest growing professional theatre in the state of Georgia. In the past five years, I have performed twice and directed four productions for the company under Equity contracts. Two productions are of particular note--Don't Dress for Dinner and The Explorer's Club. 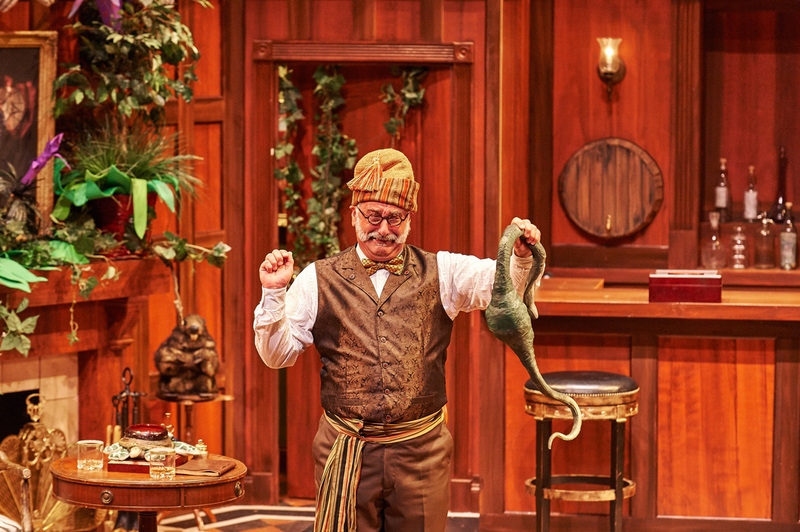 Playing Professor Cope in The Explorer's Club allowed me to display my refined skill in broad physical farce and comic timing. 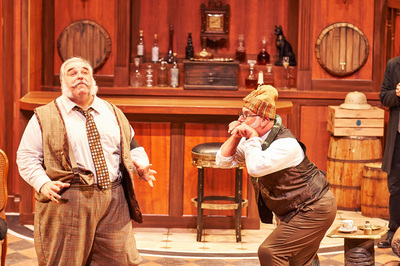 Although the play is set in a Victorian gentlemen’s club it contains classic moments of knock-about farce, drunken pratfalls, comic stage combat, and hyper-manic ensemble acting. 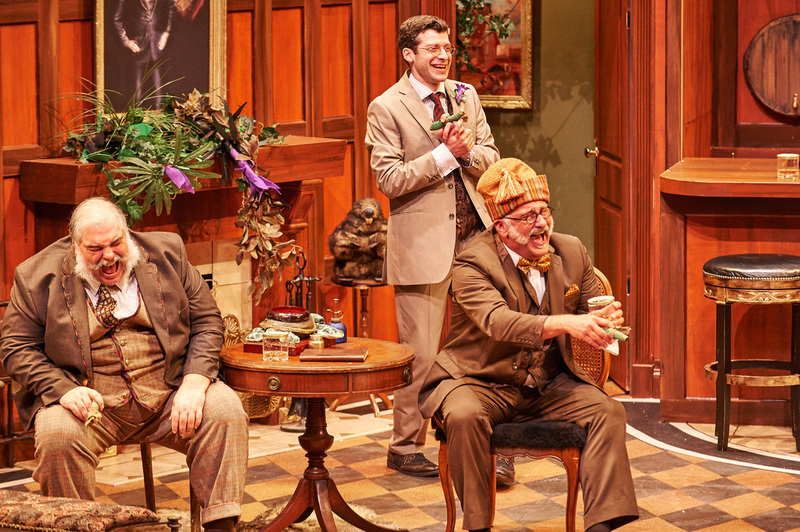 Atlanta Theatre Buzz…”This is an ensemble that makes all the split-second timing and bluster and hrrmpphh-ing absolutely joyful, who takes us down so many preposterous plot-holes with glee … and makes the whole affair one of the most delightful (there's that word again!) productions of the week (modified hyperbole alert). I just loved their stiff-upper-lip energy!”…. 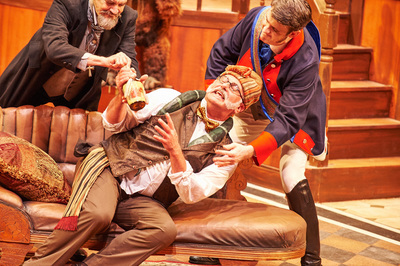 When’s the last time you went to see a play and laughed so much that you were feeling tired when it was over? Bottom line is great actors, director, set and costumes and this is a solid 11 on the proverbial scale of ten.